Sizes offered: 2g, 0g, 00g/10mm, 12mm, 9/16", 5/8"
These adorned plugs are beaming with beauty! They have a beaded abstract pattern frame surrounding an iridescent synthetic opal. Made in 2g through 5/8". 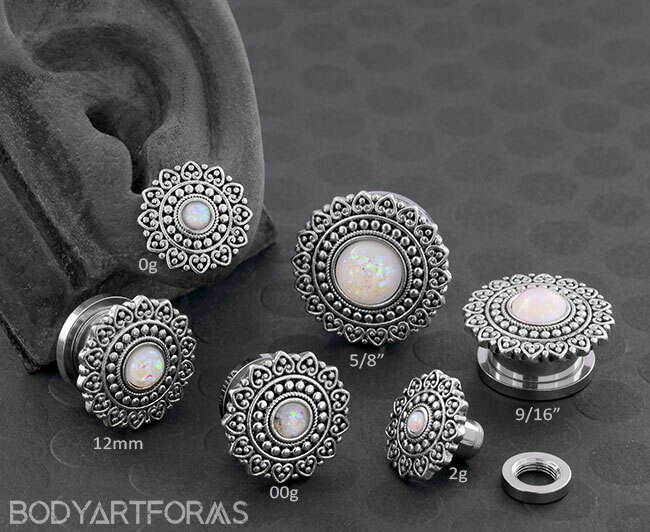 These adorned plugs are crafted from stainless steel eyelets with a front design that is made using plated base metal and synthetic opal.